Our anti-riot control suit is made from engineering plastic, polyethylene fabric, nylon fabric and a sponge layer. The suit is an outstanding choice for body protection for police in riot situations and other non-ballistic risky environments. The anti-riot control suit is constructed using high-quality materials and advanced techniques. It offers reliable performance thanks to its reinforced exterior protection and interior cushion, modular detachable components, and it is cost effective. Various designs are available. Anti-Riot Suit / Body Protector RCS-02These anti-riot suits are specially designed for dangerous situations in which explosives may be involved. 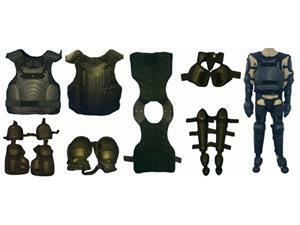 The durable body armor protects the chest, back, shoulders, and other body parts of the wearer. 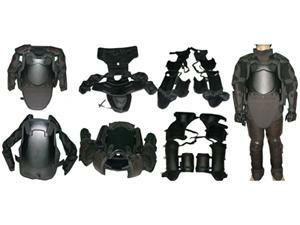 Armorus is an anti-riot suit supplier based in China. We also provide stab proof vests, bulletproof shields, ballistic fabrics, bulletproof vests, bulletproof helmets, ballistic face shields, and more.